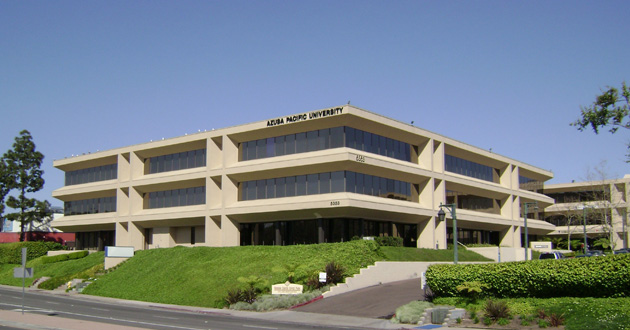 Azusa Pacific University is an evangelical, Christian university committed to God First and excellence in higher education with several locations across Southern California, including the San Diego Regional Campus located in Mission Valley. Students benefit from the same transformational, Christ-centered education APU is known for with local convenience at the San Diego Regional Campus, which offers a variety of degree programs, including bachelor’s completion, master’s degrees, and doctoral programs. Learn more at apu.edu/sandiego. The total cost of attendance for one year depends on the program. For general tuition and fees for graduate and professional programs, not including any scholarships or financial aid, please go to apu.edu/graduateprofessionalcenter/sfs/costs. Information on financial aid, including scholarships, grants, and loans, is available at apu.edu/graduateprofessionalcenter/sfs/financialaid.